There are many scare stories about how spending time looking at screens is bad for us. A new study has shown that spending too much time looking at screens makes teens unhappier. But if they spent just less than an hour using the technology, the opposite was true. Like anything, social media and screens should be used in moderation. But they are probably not as bad for us as we’ve been led to believe. Social media has a bad reputation when it comes to mental health. While many of us are happy to aimlessly scroll through Twitter and Instagram, we’re also aware that it might benefit us to put our phones down every now and then. According to new research from this year, staring at screens for too long could make us less happy. The study, published in the journal Emotion, was led by psychologists at San Diego State University. It found, through a national survey of over a million 8th-, 10th-, and 12th-graders that teenagers who were glued to their smartphones and computers were noticeably unhappier. In the survey, the students were asked about how long they spend on their phones, tablets, and computers, and also about their in-person interactions, and how happy they were overall. On average, teens were more likely to be happy if they invest time in activities like sports, reading, and face-to-face interaction, rather than looking at screens. “Although this study can’t show causation, several other studies have shown that more social media use leads to unhappiness, but unhappiness does not lead to more social media use,” said Jean M. Twenge, a psychology professor at the university, and lead author of the study. However, a complete lack of screens doesn’t necessarily lead to satisfaction, either. According to the results, the happiest teens used screens for less than an hour of day. Above one hour, their unhappiness rose steadily with increased screen time. Last year, Psychotherapist Allison Abrams told Business Insider that problems tend to arise on social media when people are already struggling with depression or anxiety, or are not satisfied with their lives in some way. These people are much more vulnerable to negative effects of social media, whereas others may not find it so bad, or may even find it beneficial. The teens who reported being unhappy could be suffering from mental health issues that social media exacerbates. This could explain how those who could put down their phones after an hour were happier than those who were more insecure, and thus became “addicted” to looking at other people’s lives. 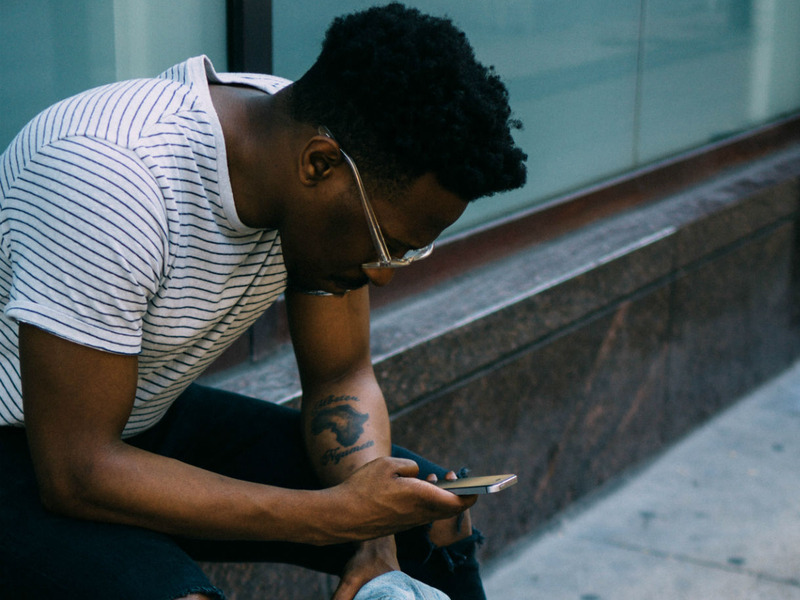 While it is convenient to blame the screens for everything, another study from this year, published in the journal Frontiers in Psychology, found that it might not be the actual technology we get attached to – rather, it’s the social interaction. Researchers Samuel Veissière and Moriah Stendel, from McGill University’s Department of Psychiatry, reviewed the literature on how the use of technology can be dysfunctional, found that the main reason people are so easily attached to smartphones is that they tap into the human desire to connect with other people. In other words, smartphones essentially hijack our needs for social interaction. For example, try turning off push notifications and set up appropriate times to check your phone, rather than playing with it every few minutes. As for whether social media replaces more meaningful interactions, a study from the University of Missouri, published in the journal Information, Communication & Society, found that it doesn’t. In a series of two experiments, one long-term and one short-term, the researchers found that the use of social media had no significant negative effect on social interactions or social well-being. So just because teens are unhappier if they spend more time using screens, evidence suggests it probably isn’t because it’s directly impacting their social lives. Earlier this month, Business Insider’s Erin Brodwin investigated whether social media addiction was a scientifically valid issue. She found through talking to researchers and reading over the scientific literature that the evidence was shaky at best. In fact, one expert – Andrew Przybylski, a senior research fellow at the Oxford Internet Institute – told her that much of our biases against social media may simply be a projection of our own fears. We talk to each other about how smartphones are decreasing our intelligence and ruining our real friendships, but in reality, we are probably just worrying that this is true, rather than there being any proof. Everything is a balance, and excessively looking at screens is never a good idea if it is getting in the way of getting enough physical activity and sleep. But when used in moderation, smartphones are handy for staying in touch with friends when in-person contact isn’t a possibility, and video games can improve your skills in coordination, problem-solving, and memory. There is plenty of scientific evidence that contradicts the myths that screens are killing our minds, bodies, and friendships – even if it’s unlikely you’ll hear about them as much as the scare stories any time soon.